Kate Moss may be on her 30th Vogue cover and have transformed from waif to Boho vintage style icon to married rockstar’s sophisticate wife but she’s still one of the few model stars with enough credibility and authenticity to straddle both Rimmel and Salvatore Ferragamo campaigns simultaneously. 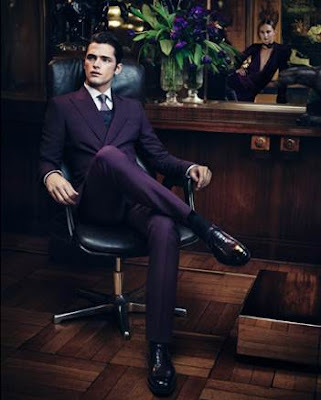 Ferragamo has always been the byword for Italian elegance. It’s a brand to be aspired to, up there with Valentino and Dior. Sophisticated, subtle and with enough class to be on mute in a crowd. The supremely talented Mikael Jansson’s photography captures a ‘freeze-framed’ moment with its subtle coloration, play of light and dark and highly positioned models – like a modern Vermeer you ask, ‘what happens next?’. 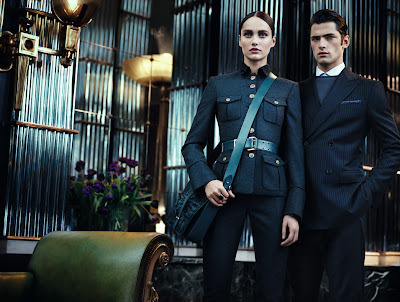 Kate Moss, Karmen Pedaru and Sean O’Pry make quite the enigmatic triad for Ferragamo. Whilst I finally own some Valentino, I now may have to seek out that perfect Ferragamo piece.